1200 zero-emission, electric buses made by BYD Company Ltd will soon hit the streets of China’s “Bright Northern Pearl”, Dalian. Dalian’s municipal government has signed a cooperative agreement with global electric vehicle and battery leader, BYD. 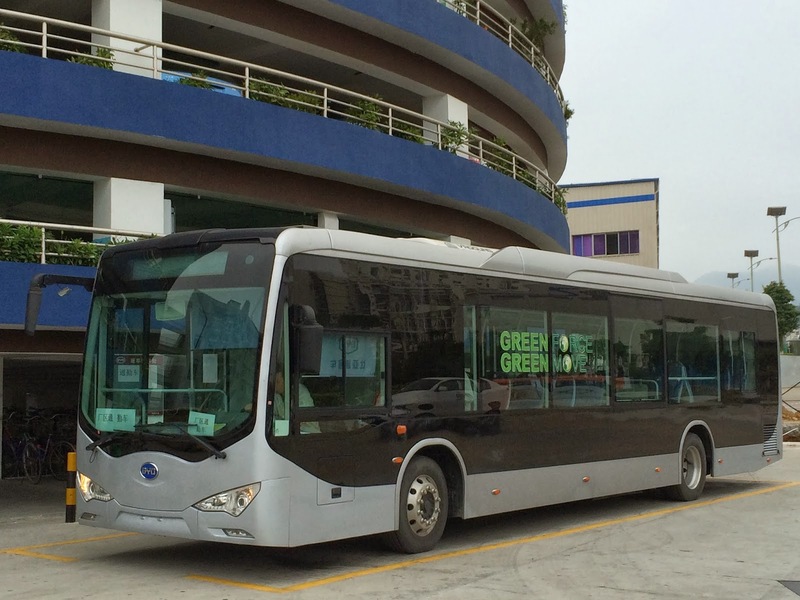 The agreement stipulates the purchase of 600 BYD electric buses in 2014 and another 600 in 2015, totaling 1200 units. BYD took the opportunity at the signing event to announce the opening of a new electric bus manufacturing facility in the Dalian Huayuankou Economic Zone to service the growing needs of northern China. The agreement also mentions a conversion initiative of more than 50% of new purchased taxis in Dalian to new energy vehicles in support of the “new energy vehicles promotion and local environment improvement” initiative. At the event with Liaoning Province Governor Zhenggao Chen, BYD Founder and CEO Chuanfu Wang introduced company milestones, R&D capabilities and products including the electric bus and fully electric e6 SUV being used worldwide in fleet applications. He also took the chance to talk about BYD’s latest consumer offering – the break-through, plug-in-hybrid, Qin. Chairman Wang highlighted operational statistics of the BYD electric fleets now totaling over 175 million Km traveled (~111 million miles in revenue service) and operating in many cities including recent projects in London, England and New York City. A key message from the BYD Chairman was that this technology is not just environmentally friendly, but very efficient and profitable for the operators as witnessed in the Shenzhen fleets. Zhenggao Chen, Governor of Liaoning province, expressed his view that BYD is a pioneer in the aspect of new energy vehicles, and is confident BYD will seize the opportunity to develop and keep mastering the core technologies for new energy vehicles to keep winning the war combating poor air quality.